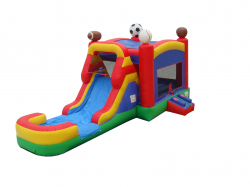 $279.99/day. 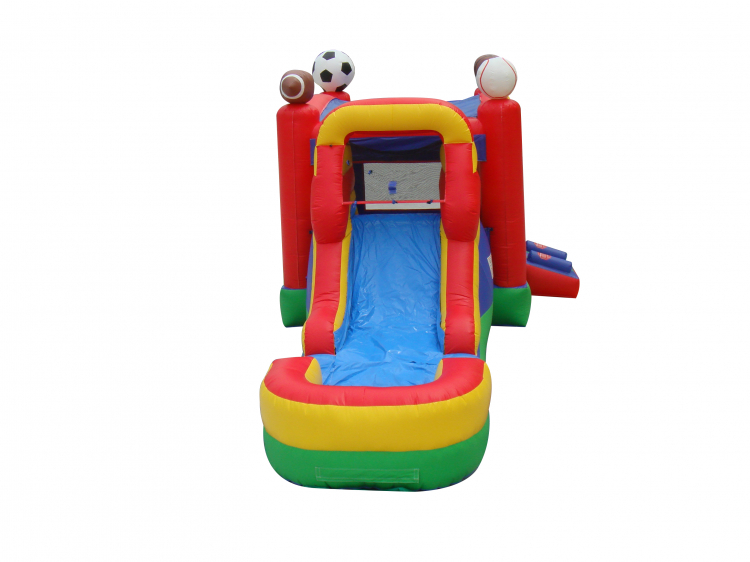 This combo is a great addition for any type of party themed around sports and can be used wet or dry. 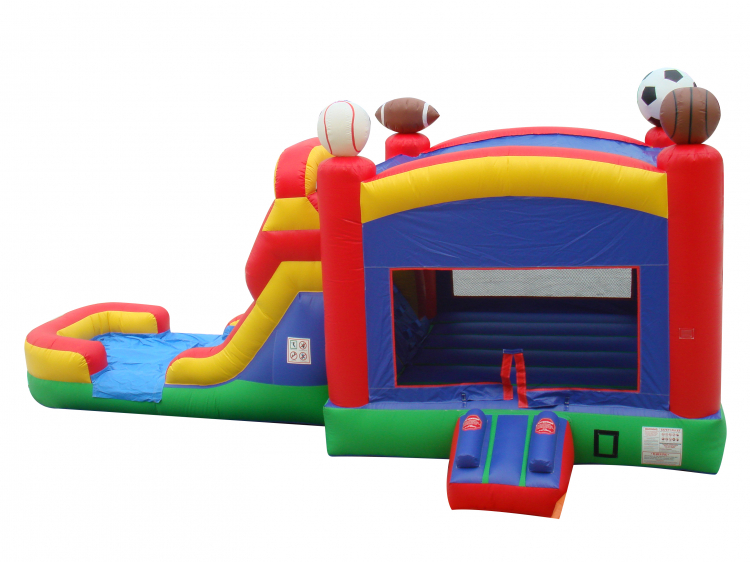 The kids will stay busy with the large bounce area and climb wall up to the slide!